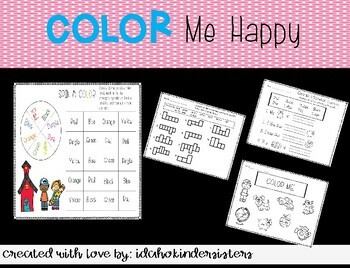 Color Me Happy-Sight words (color words) activity Bundle! This fun activity will help your students love learning their color words. It has several different engaging activities that are differentiated to adapt to a variety of learning abilities. It includes a color spin and match the word activity, a fill in the blank, a visual discrimination color word activity and a color word sheet for all learners to enjoy!